National Philanthropy Day 2018 Nominations Open Now! Nominations for our National Philanthropy Day 2018 Awards are open July 13-31, 2018 here. Once nominations close, the NPD steering committee will notify nominees of their nomination, and then the panel of judges will proceed to select the 2018 award winners. 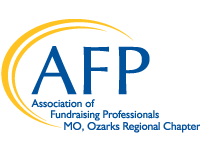 Winners will be honored at the National Philanthropy Day luncheon at the White River Conference Room on Tuesday, November 13, 2018. Thank you for nominating outstanding people, organizations, and companies who improve our community in so many ways!